Instructional designers are in demand in professional and educational settings. E-learning is used to deliver employee training, and individual learners are turning to e-learning courses to build upon and acquire new skills at a rapidly increasing rate. Contact your advisor to determine a course sequence and delivery mode that best fits your needs. In general, if you are a beginner, it is recommended that you take EDIT 705: Instructional Design and a 2-credit elective. The E-Learning elective courses may be offered at variable credit periodically throughout the semester. 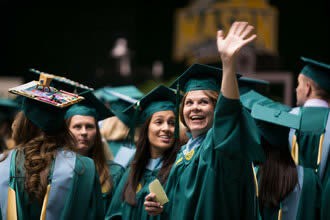 For a list of courses currently being offered go to patriotweb.gmu.edu. E-Learning electives are offered for variable credit each semester and cover industry-standard commercial and open source software tools. Students who graduate from the e-Learning Graduate Certificate Program may apply 12 credits completed under the certificate program to the 30-credit Instructional Design and Technology MEd Program. The remaining 18 credits required must be completed while enrolled in the IDT master's program.